Hey guys, It has been a while. This post is just a little update on what happened and will happen with this blog and more. I am not quitting and I actually hope to start up again. Life has become a little busy in the last couple of months but my health has taken quite a nose dive. Hopefully, I will get on that again with trying some new things but in the meantime, this is what has happened. Last Saturday I have had my first ever Art fair. The experience was amazing. I have met lovely people who said lovely things and I left there feeling so much better about art then I did in a long while. Elzeline, for filling up my booth with her beautiful handmade jewelry! The many people who encouraged me to do more art and to keep doing it! The other artists on the fair that were ready to help and support each other at all times! Furthermore, I have been drawing and painting like crazy but only traditional. So to get into my digital artwork again I want to start with finishing some artwork there. Luckily I do have some work that I haven’t shown you yet (even if some of it is already sold). I should have taken pictures but just for the mental image I had painted two A3 pictures, a deer, and a bear that turned out amazing and I thought they really showed my progress. Meaning that I will be painting in acryl more again since it is such a gorgeous medium. Another thing that has happened is me trying gouache and actually liking it. I do like to mix it with aquarelle but the details I now can get are really amazing! Like I said I am not quitting but starting up again but things might change a bit. I want to have time for my study (which I just started, jeey!) so my blog might get a little less time. There might be fewer posts. I am thinking once or twice a week. I will be online less. I do however have some new exciting things planned and the ebook I promised you all that time ago is still coming. I am just a little bit perfectionistic. I hope you are as excited as I am and thank you for sticking around all this time. 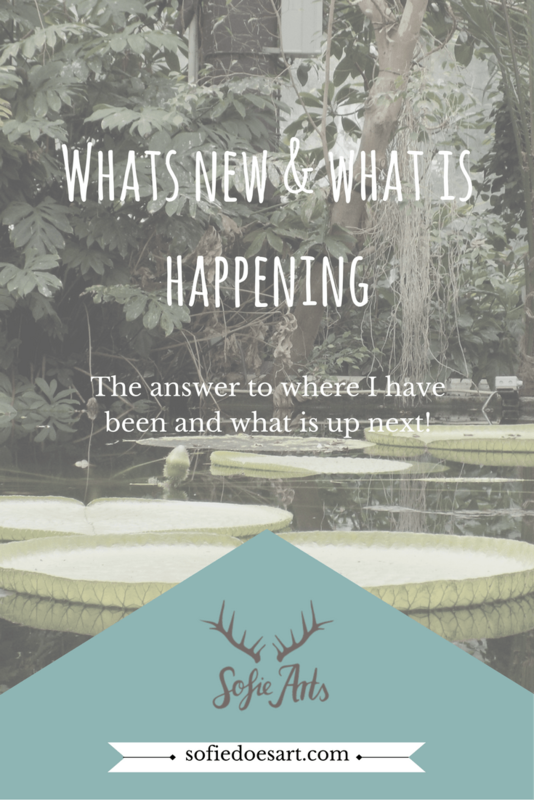 Let me know if there are things you look forward to seeing on this blog! Hi Romica, it is good to be back. The art fair post is in making right now and luckily my sister brought here camera to take some amazing pictures. I did sell some works and it was such a great experience! Your comments are always so encouraging by the way! Thank you for being such a great business friend. I hope you are having a wonderful week!